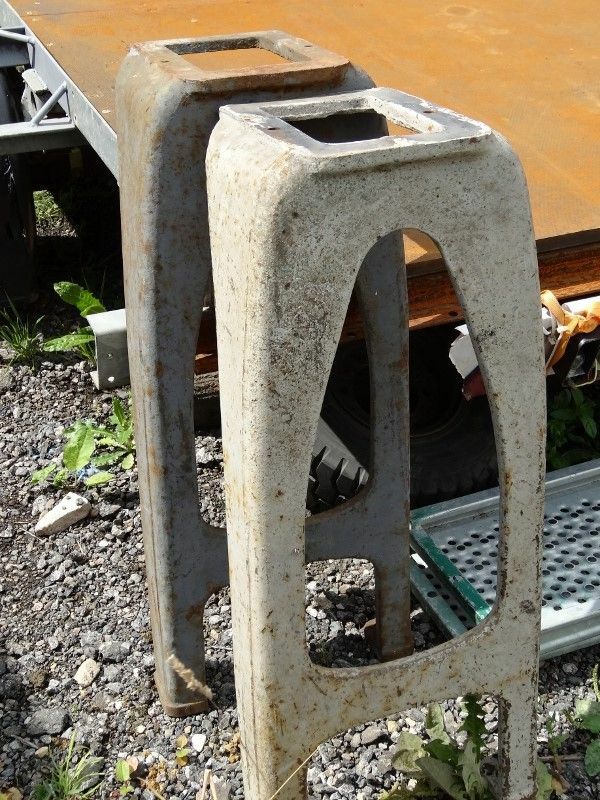 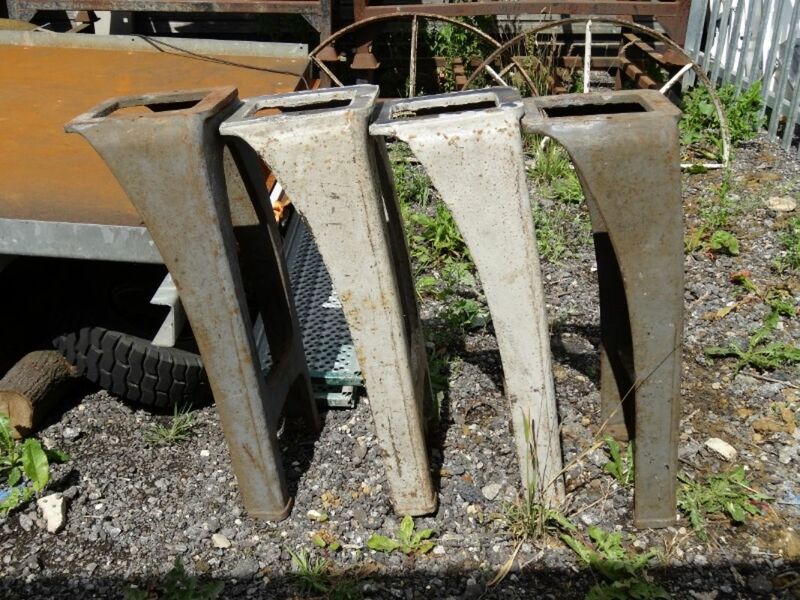 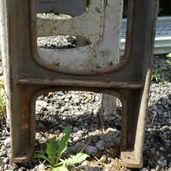 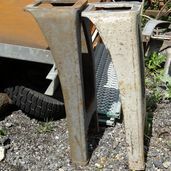 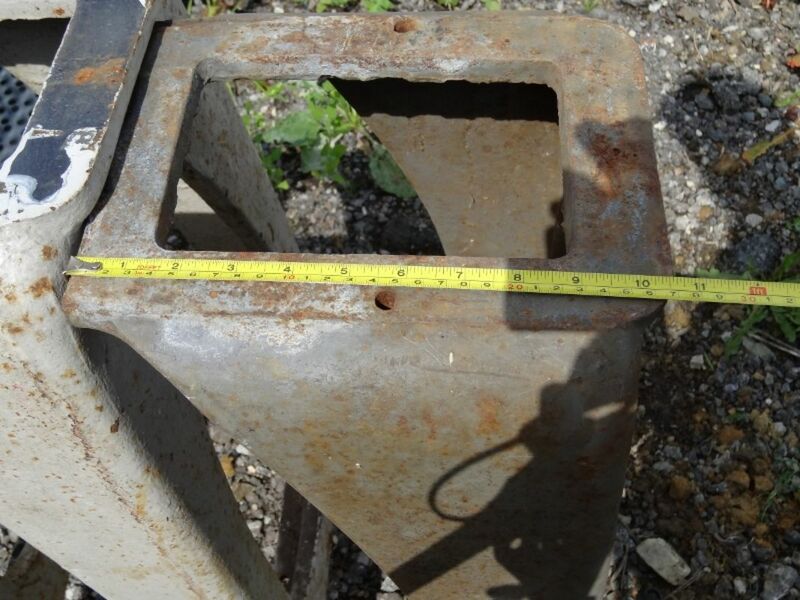 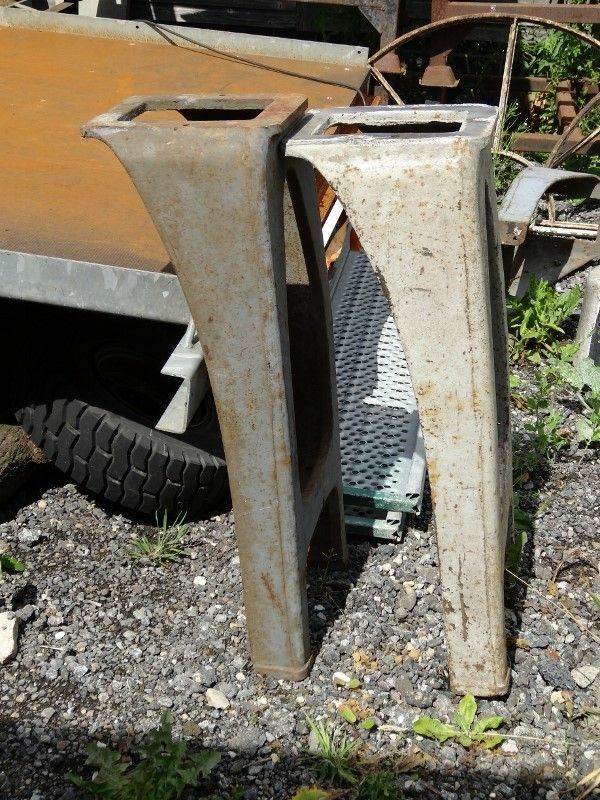 2 pairs of Cast Iron Machine Legs. 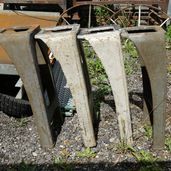 Could be bolted to the underside of 2 similar boards of timber to form side tables, or all 4 could be used to form a base for a large table. 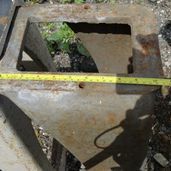 31 ½” (80cm) tall, 14” (36cm) wide, 10 ½” (27cm) deep at the top. 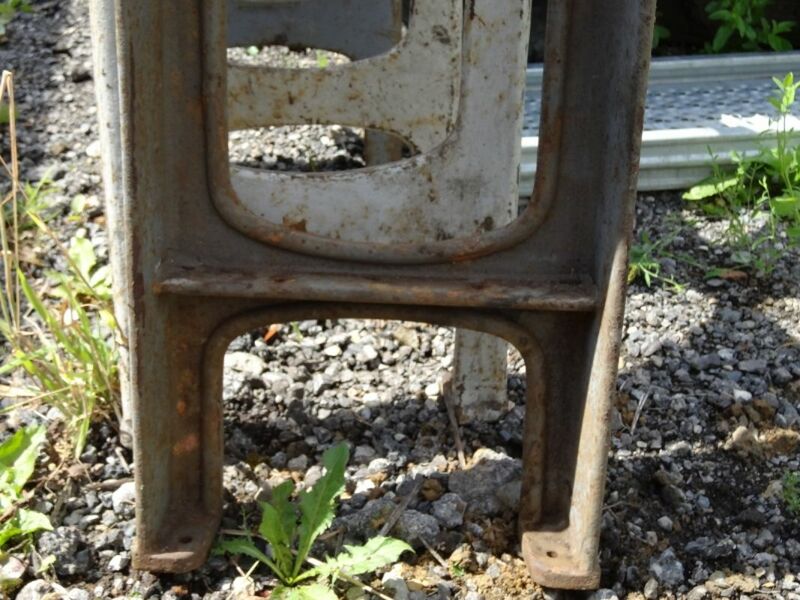 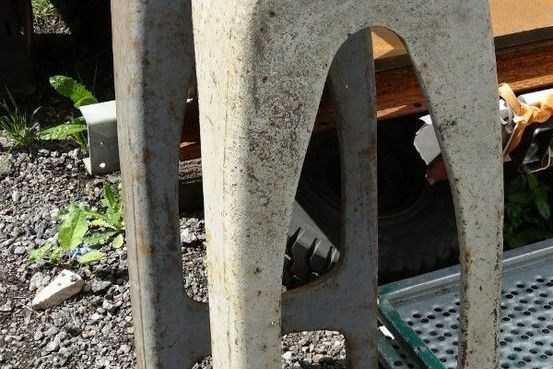 Each 1 has a bracket 9” (23cm) from the floor which could support a lower shelf.